2850 dancers. 200 gurus. 11 minutes. This was the recipe for history in the making. When on 26 December 2010, 2850 kuchipudi dancers of all ages performed an 11-minute thillana in a stadium in Hyderabad, they created a world record. This was the largest group performance of kuchipudi, a historical event which was included in the Guinness Book of World Records. The world record was celebrated with much pomp in the Indian media as a majestic occasion which showcased this South Indian classical dance to the world. 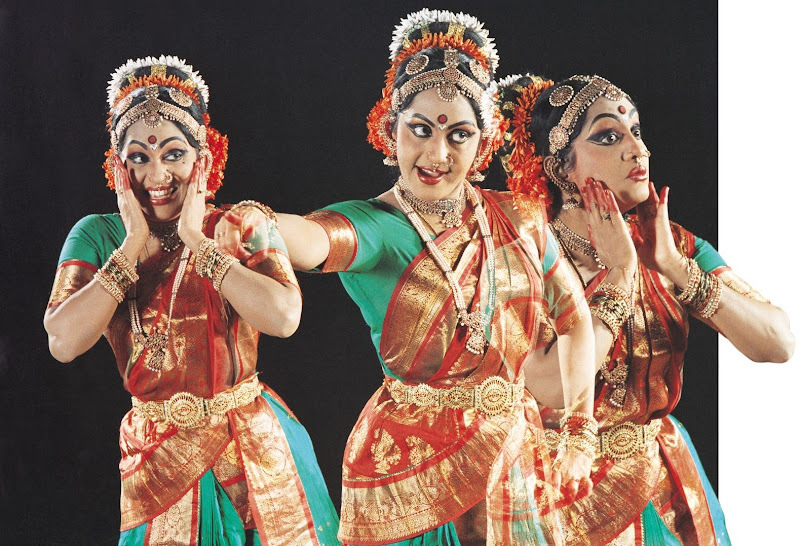 For an Indian classical dance form which is often overshadowed by more popular classical styles, the event was considered by many of its practitioners to be a magnificent achievement not only for its scale but also for kuchipudi’s visibility. This landmark event held in a stadium in the state capital also marked a milestone in the dance’s long journey from its origins in a sleepy village in rural Andhra Pradesh. 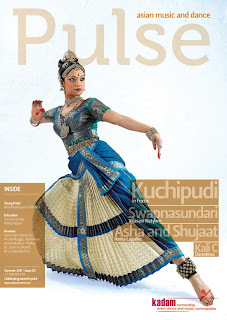 The dance presented on 26 December 2010 was different in many ways from its original form, for along kuchipudi’s 50-year-long-or-so journey, the dance has gone through a process of evolution and change, transforming itself on the way. 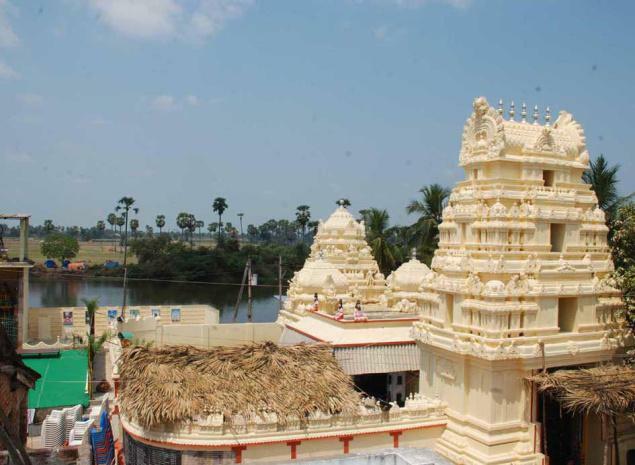 Over 50 years ago in Kuchipudi village, from which the dance takes its name, what we know today as kuchipudi was presented in the form of dance drama. This performing art form was performed exclusively by Brahmin men, who passed on their art to their sons, from one generation to the next. The performers (called Bhagavatulu-s) would dance, act and sing, enacting both male and female roles. They would travel from village to village, staging night-long performances which were presented outdoors on make-shift stages. This dance drama tradition had developed during the Bhakti movement of the 15th and 16th centuries, along with other forms of vernacular theatre, as a mode of religious expression through the recounting of religious stories. According to a legend, Siddhendra Yogi, an ascetic and Krishna devotee, is credited as the founder of kuchipudi dance drama. 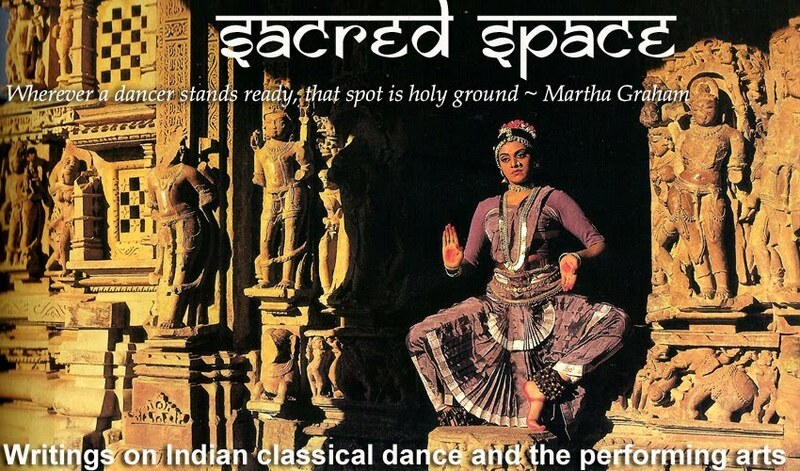 From its origins as a dance drama tradition performed in rural villages exclusively by Brahmin men, today the dance has evolved into a solo dance form performed on city stages by dancers from non-hereditary backgrounds, mostly women. The dance’s revival started, like for most of the other Indian classical dances, in the late fifties following India’s independence. As the gurus moved out of the village to large cities, the dance form and its repertoire inevitably evolved for the contemporary stage. 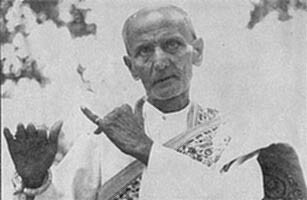 Guru Vedantam Lakshminarayana Sastri (Right) had made a significant contribution to the popularisation of kuchipudi in the early 1940s and 1950s. He significantly expanded the scope of the dance drama form by choreographing many nritta and abhinaya items for solo dancers. He had a vast repertoire of ashtapadis, padams and javalis. He was also the first to teach female dancers, including temple dancers. 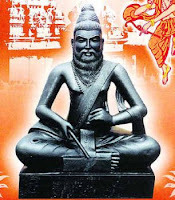 His students included none other than Balasaraswati, Mylapore Gauri Amma, and Vazhuvoor Ramaiah Pillai who all became legends in their own right. Guru Vempati Chinna Satyam (Left) is credited with having made the biggest contribution to the development of kuchipudi. 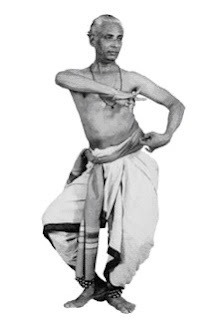 He developed and codified the technique of the dance based on the principles of the Natya Shastra. He classified the dance units or adavus and introduced a systematic teaching method. He polished and perfected the nritta, or pure dance movements. He developed his own particular individual style which is referred to as the Vempati style or ‘new style’ of kuchipudi. Characterised by strong clean lines, crisp energetic jatis and vibrant footwork, the Vempati style seems to be the most popular style of kuchipudi today. Guru Vempati Chinna Satyam is also a prolific choreographer, having choreographed 180 solo items and fifteen dance dramas. He has received many awards for his contribution to kuchipudi including the prestigious Padma Bhushan from the government of India. He established the Kuchipudi Art Academy in Chennai in 1963. Some of his students who went on to become celebrated kuchipudi exponents include Yamini Krishnamurty, Sobha Naidu and Swapnasundari. His son Vempati Ravishankar has followed in his footsteps and is an established dancer and guru. 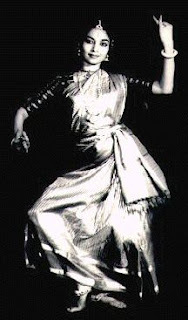 The Tarangam is unique to kuchipudi, often performed as a finale. This is a technique where dancers stand on the edges of a brass plate, sometimes balancing a pot on the head and holding oil lamps, as they move to complex rhythmical patterns. Another technique unique to kuchipudi which was popularised by guru C. R. Acharyulu is tala chitra nritya. Using her feet dipped in coloured paint, powder or dye, the dancer traces the outline of an animal: a peacock in Mayura Kautavam, lion in Simhanandanam or an elephant in Ganesh Kautavam. All of India’s classical dances went through a revival following independence which involved a process of reconstruction and codification. Over the past few decades, kuchipudi has made many transitions: From a dance-drama tradition to a solo repertoire. From hereditary male performers to a proliferation of female dancers. From the make-shift stages of rural villages to the theatres of metropolitan cities. From guru-shisya-parampara to institutionalised teaching. From the Natya Shastra to the Guinness Book… This process of evolution continues with the contemporary kuchipudi gurus and dancers of today who inject it with their own perspectives, innovations and inspiration.